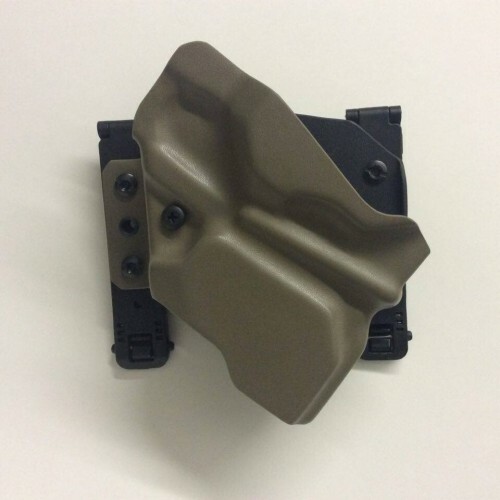 This AR15 Kydex holster is manufactured by Redline Pro Gear who is a provider of high-quality Kydex holsters. 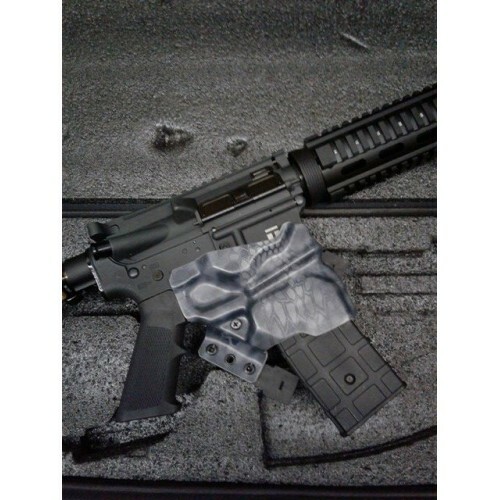 Redline Pro Gear is 100% American made. 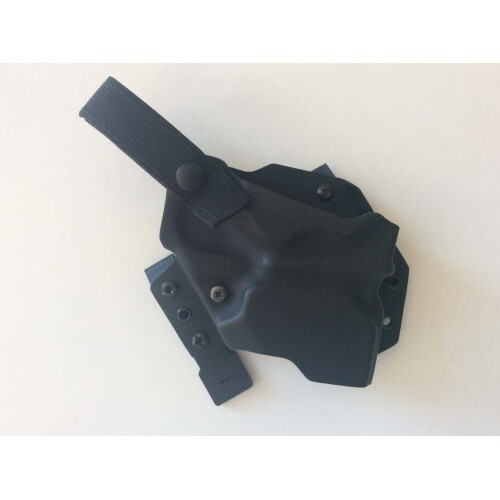 The holster will allow you to easily transition from holster to readiness position. 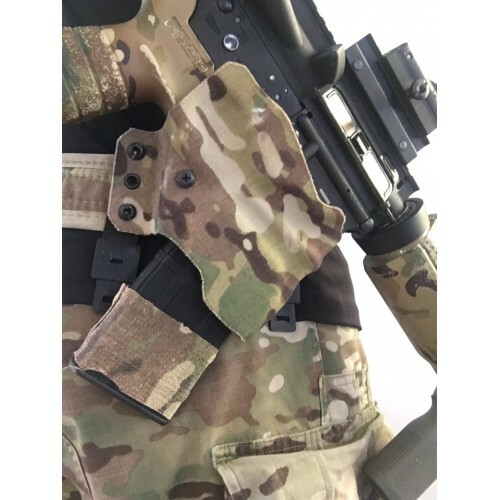 The Redline Pro Gear holsters for the (Mil Spec) AR15 provides a friction fit Level I retention and is made from durable 0.080" Kydex. 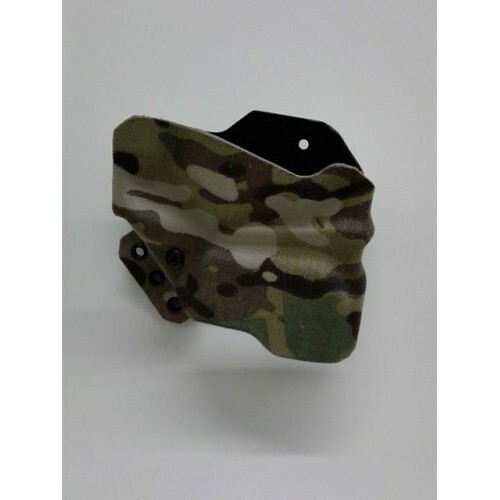 These holsters are attached to belt loops or MOLLE compatible platforms with included Malice Clips. 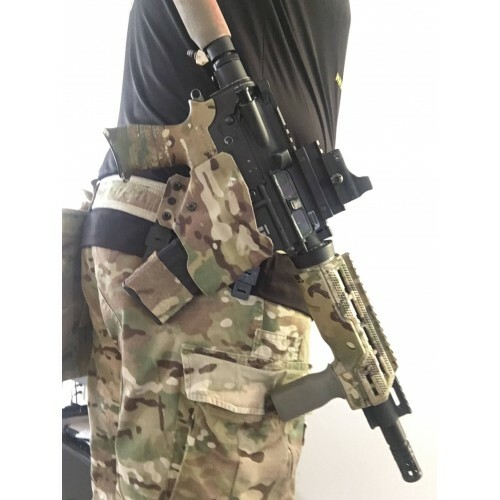 The level 2 retention system is an option that provides additional reinforcement of the rifle when holstered in the form of a strap that wraps around the back of the AR with a snap in button. 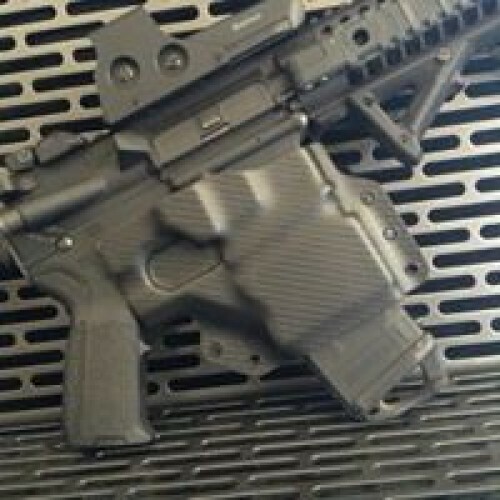 Other Options: Right or Left handed.